Looking to find that special something for the skateboarder on your Christmas list this year? Embassy Skateboards has just what you need to put a smile on that loved ones face this holiday season. Based deep within the heart of Texas and helmed by John “Tex” Gibson and Lee Leal the company has been churning out quality skate goods since 2009. From old school to new school Embassy has something for every generation of skater. I had the chance to check out one of the brands John Gibson models and put it through the paces at our local skate park and I have to say I was pleasantly surprised. The board we received was a beautifully deep red dipped new school shaped board with a width of 8.5” and length of 32”. The screen printed graphics were vibrant and reminiscent of Pushead graphics of the 1980’s (a definite plus for an old school guy like myself) and after a quick set up I was ready to go. When just cruising around the board’s wide wheel base provided good stability and the mid depth concave gave a nice comfortable shape for your feet to rest in. The 7 ply Canadian maple offered plenty of pop and at times made tricks feel a touch easier given the boards responsiveness. After putting the deck through a couple more sessions I can safely say that Embassy makes a quality product through and through. Detailed craftsmanship combined with great looks and functionality makes for a product you will surely be happy with and one that is built to last. At the time of typing this, the exact board we received was not currently available for order however there are plenty of other killer decks and products available. If you have ever tried to wade through the sea of online skateboard shops or made a trip to a certain sometimes pushy retail mall shop you know what a hassle it can be to find a good skate product. Save yourself some time and head over to Embassy Skateboards you won’t be disappointed. CozyPhones are the 3-In-1 Headphones Your Kids Need Now! This week my daughter mentioned to me if she can get a headphones for her iPad for when we are in the car traveling. So, I said well maybe you can ask Santa Claus for it for Christmas. In my searching, I came across CozyPhones, which are a super cute and also multi-functional. These super comfortable 3-In-1 Headphones within the headband with kid safe volume control. The headband also serves as a sleep mask. This is literally a must have for all kids. As a parent yourself, who else has issues if their earbuds falling out or breaking and the ugly bulky over-the-ear headphones?! These headphones are a great gift for kids. It also mentioned that this product is a wonderful solution for children with sensory issues and special needs. Still need more reasons? Well, the speakers are able to be easily removed, which means that you can even watch the headband if it gets dirty! BOOM! Lastly, I should mention all the different type of headband designs that you can get. There are featured original style favorites, including a Fox, Frog, Panda, Bunny and (sure to be every girl’s favorite) a Unicorn. 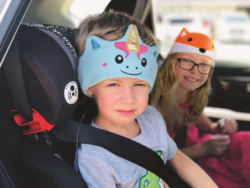 CozyPhones also has aligned itself with some of the top shows and brands in children’s entertainment and have partnered with Nickelodeon’s Paw Patrol for Chase, Marshall & Skye designs available now also – with more favorites to come! So there is only great things to come from this company! Stay tuned and definitely consider this for your kids this holiday season! All CozyPhones are compatible with Apple iPhone, iPad, iPod, Android, Samsung Galaxy, Blackberry, Nokia, LG, HTC, Google Nexus, Lenovo, Asus, Sony, Dell, Toshiba, HP, MP3, MP4 and other audio devices. Ages 4+, SRP $19.99 on Amazon, click here to purchase. 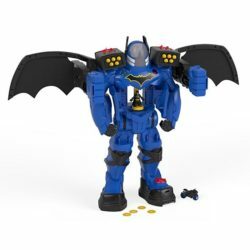 Fans of Cartoon Networks “Teen Titans Go” can now bring the fun of the show into their playrooms with Imaginext’s new “Teen Titans Go” line of figures and play sets. 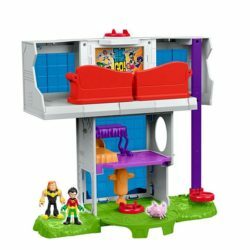 At the center of the series is the Teen Titans Tower a, multi tiered play set which features transforming couch launchers, a movable elevator and a gym area complete with sparring dummy. The Tower is a great addition any growing Imaginext collection or as your first introduction to the Imaginext toy line. Included with the set are three figures (Robin, Mammoth & Silkie) which allow you to jump right in and start playing without the need for additional purchases. This was something our 5 year older tester Ian really liked as the figures are just as much fun as the play sets they accompany. Another cool feature was the couch launchers which are nicely hidden within the third level of the tower. With a turn of the Power pad the couches transform in to projectile launchers complete with pizza shaped missiles ready to defend the tower from whatever Mammoth can throw at it. Though the Teen Titan Tower might not pack as many features as some of Imaginext’s more elaborate play sets it’s still a fun toy that fans of the television series will want to get their hands on. The colors and details of the set are spot on and the included three characters is a great bonus. With only a few shopping days left until Christmas the Teen Titan Tower is a toy that you can’t go wrong picking up for that special someone on your list. 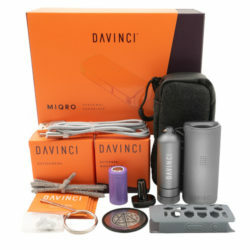 The holidays are approaching quickly and it is time to get your gifts in order! Well look no further than one of the coolest gifts someone can receive (within ages 12+). Jenga has always been fun but rather small in scale. Well, that has all changed with Jenga Giant JS7, this game definitely lives up to the name. This game is the literally the largest authentic hardwood JENGA® game you can buy and it can scale as high at FIVE FEET! Yes, five feet tall! This game features 54 oversized, precision-crafted, high quality, smoothly polished hardwood blocks packaged within a heavy duty carry bag. The game is a little higly priced to be honest at an MSRP $169.95 but Amazon has it for less than $120, so might want to consider that angle or if not they are available on jengagiant.com. 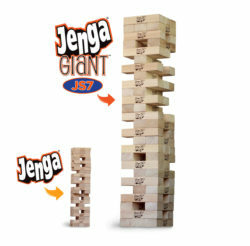 Personally, I have always been a huge fan of Jenga and with the releases of their “Giant” product it has re-won me over as an adult now (or at least a pretend adult, lol). Note that if you do get this product to heights of five plus feet, it falls hard and if it hits your toes..OUCH! So make sure you have plenty of room to play. Get some friends/family around and get ready to have a blast! Beat the Clock: See how quickly you can run the course and hit the taggers as colors flash! Target Tally: Choose your time and then see how many targets you can hit! Relay Race: It’s team vs. team in a race to hit targets! 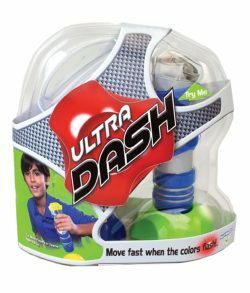 Ultra Dash has taken the age old game of tag and made it even cooler. As soon as the first color flashes, you start and race to the targets! The tagger knows if you tag the right color! If the light’s green and you tag a yellow target, the tagger will know and keep track! Re-setup and play again. This game features endless fun within its game modes. You will thank me later, when the parents have some house time all to themselves with the wonderful sounds of kids playing outside. Kids these days are obsessed with mystery box and toys like Hatchimals where what you get is a surprise. 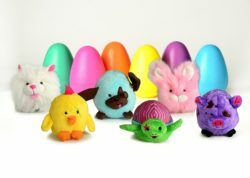 These Egg Babies are super cute and a great alternative to the Hatchimals craze. They are priced at only $12.99 on Amazon, which is a steal to some other products that are similar. Series 1 features 6 different plush animal babies. These animals were very cute and VERY soft and squishy (my daughters words). Turtellini is a colorful turtle who’s outgoing, caring and livens up the party. She’s a true gift to those around her! Bubble Gum is a fluffy pink bunny full of confidence. She is a natural leader, has a true rock and roll spirit and loves to express herself through music. Hamlet is a cheeky and mischievous pig. He can sometimes be found stirring up trouble but don’t worry, he’s sweet enough to clean up his mess. Kiwi is a true extrovert. This fun-loving chick loves to be in the spotlight. Kiwi can usually be found center stage as lead singer of the band, Deviled Eggs. Patches is an energetic and determined puppy. He knows good sportsmanship and is more important than the final score. Snowflake is a sweet and lovable kitty cat. She makes new friends wherever she goes. Her cheerful personality is truly infectious. 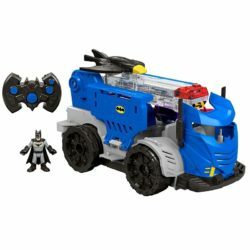 Wicked Cool Toys delivers another winner for your kids! Perfect time just for the upcoming holidays. Get those stockings filled with these great toys and get ready to see your kids enjoy opening their egg to reveal which FURRiendly surprise they receive and end up loving forever! 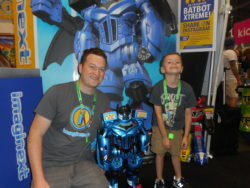 February 18, 2017, — BELOIT, Wis. – During Toy Fair in New York, PlayMonster LLC is showcasing its new Wonder Crew® Buddies, the toy line for boys designed to empower boys to connect, nurture and build empathy through friendship, imagination and adventure. Wonder Crew is turning the table on the conversation about gender stereotypes and toys, which has largely been focused on presenting more options for girls to play. Wonder Crew fills a hole in the market by offering a toy that helps boys develop their emotional maturity, including compassion and kindness, to help them grow to be good men, husbands, fathers and more. Combining the adventure of an action figure with the emotional connection of a stuffed animal, 15″ Wonder Crew Buddies are available now. The crew includes Will (Caucasian), Marco (Hispanic), James (African American) and Erik (Asian). Each comes dressed in superhero gear, complete with matching mask and cape for kids. Wonder Crew also has three Adventure Packs: Builder includes a construction outfit and hard hat for the buddy, and a matching vest for kids; Explorer features a safari-looking outfit and hat for the buddy, and a matching hat for the child; and Snuggler is a set of pajamas for the buddy, and a blanket for kids! Each is sold separately. Bringing “adventure through friendship” to boys ages 3‒5, Wonder Crew buddies are priced at $29.99‒$34.99; gear sets from $14.99‒$19.99. Wonder Crew was created by Laurel Wider, a psychotherapist and mom, after her son came home from preschool one day and announced that “boys aren’t supposed to cry.” Frustrated by many of the messages boys were (and weren’t) receiving and inspired by the way play influences child development, Wider created Wonder Crew to encourage kids to connect emotionally and be their full selves. During North American International Toy Fair in New York, February 18‒21, 2017, PlayMonster can be found at booth #439. A new puppy may be topping the kids wish list, but is the family not quite ready for the real thing? Young children and parents alike will love the irresistible personality of Peppy Pups from TPF Toys, the official plush dog of National Mutt Day, coming up this Friday, December 2nd. Peppy Pups™ brings to life the authenticity of puppy friendship, complete with a pup that follows its owner everywhere. The cuddly plush puppy has a spring in its step and when walked by its owner, can run, jump and wag its tail like a real dog. Brimming with personality and no batteries needed, Peppy Pups have ultra-soft fur, distinct paw pads and springs in their feet that help these eager Peppy Pups move and prance, just like a real dog. Peppy Pups bounce, jump and waddle as they go for “walks” with their kid owners, and turn heads as they go. Peppy Pups adore cuddling, snuggles and squeezes, showing characteristics of a real dog that all pet lovers embrace. Peppy Pups from TPF Toys is available at retailers nationwide. Ideal for children ages 4+, Peppy Pups are available in available in – soft brown, and black and white – and are available at Toys “R” Us nationwide and Amazon – priced at $19.99. National Mutt Day, founded by Pet Lifestyle Expert and Animal Welfare Advocate, Colleen Paige, is observed Dec. 2nd and July 31st to celebrate the many wonderful attributes of Mutts to promote adoption WORLDWIDE. 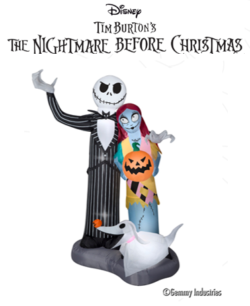 TPF Toys’ Peppy Pups Hit Stores in Time For Holiday Shopping!